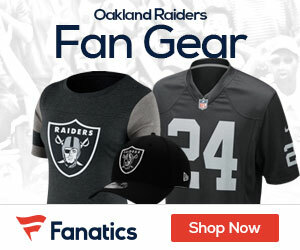 Three additional murder counts have been filed against former Oakland and Los Angeles Raiders lineman Anthony Wayne Smith who is awaiting retrial in another murder case. The Los Angeles Times reports Smith was charged Monday in the November 1999 slayings of brothers Kevin and Ricky Nettles, and the June 2001 death of Dennis Henderson. Smith also faces other charges, including kidnapping and robbery. An email message left for Smith’s attorney, Michael Evans, was not immediately returned Wednesday. A mistrial was declared in April after a jury deadlocked on whether Smith should be convicted of murder in the death of Maurilio Ponce in 2008. Smith was a defensive end with Oakland and later the Los Angeles Raiders from 1991 to 1998. I really wish these things would never became public. I agree. A great man that always did a tremendous amount of wonderful things for the community that may be completely innocent has his life turned upside down, faces negative public opinion….and what happens when he is found not guilty?….another OJ.